NEW YORK, Feb. 12, 2018 /PRNewswire/ -- On February 12 in 2018, Altibase, an enterprise grade relational database, announced that it is now open source. "The database industry is going open source – the trend is clear," says Altibase Chairman, Paul Nahm. "But for discerning and prudent enterprise clients with mission critical applications there is still one big question: Is there an open source database I can trust to be reliable 24/7? The answer is as of today: Yes, Altibase." Altibase is a mature, battle-tested database. For nearly 20 years, Altibase has served over 600 enterprise clients, including 8 Fortune Global 500 companies, in more than 6000 deployments. Altibase was included in Gartner's Magic Quadrant for operational DBMSs in 2013, 2014 and 2015. Compare Altibase. 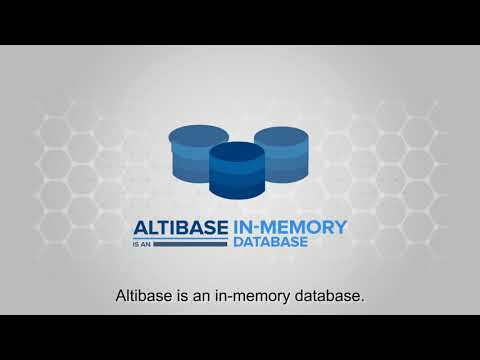 Function for function, Altibase matches Oracle, IBM and Microsoft with one big difference, Altibase is now open source. By going open source, Altibase directly challenges Oracle, IBM and Microsoft by providing equal functionality at much lower cost. Now, users don't have to choose between low cost and reliability. With Altibase, they can now have both. Furthermore, Altibase provides state-of-the-art sharding technology. With Altibase, enterprises do not have to make any changes to their existing systems running on relational databases, so execution is easy and quick. Download Altibase today to discover why so many major companies around the world have chosen Altibase. 44 Wall St. 12th Fl.